If you have a compound bow and are looking for the best bowstrings on the market, you’ve come to the right place. We carry a large supply of handmade bowstrings that will set you apart from your competition. Whether you are new to archery or are an expert, we can help you find the perfect bowstrings and archery supplies that you need to excel. We are passionate about the sport of archery and providing you with the tools to shoot well and have fun. We have been making bowstrings and manufacturing bowstring equipment and accessories for over 13 years. We use high quality materials that guarantee no creep and no peep rotation. We also guarantee no severing separation or peep rotation. Because we want to make sure that you are more than satisfied we offer a warranty for 12 months. We are passionate about archery, which is why we want to provide the best. With bowstrings that are made for unmatched performance, you can strengthen and enhance your skill and become the best you can be. We are proud to create bowstrings and provide quality archery supplies that you need to shoot well. 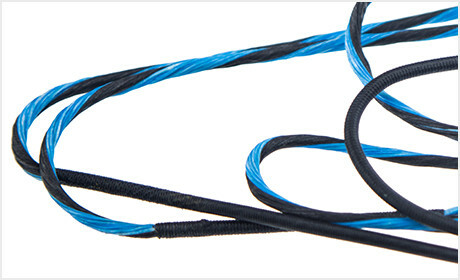 We create strings and cables for compound bows, longbow and recurve bows, and crossbows. We are also happy to provide several accessories such as wax, silencers, D loop material, peep sights and more. 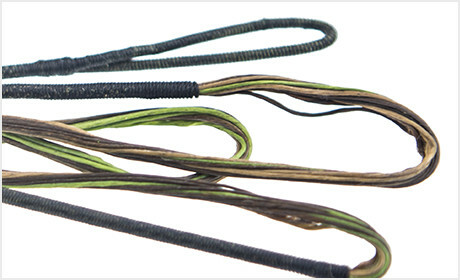 For hunters, consider using a string leech to really dampen the sound of your bowstrings snap upon release.